The direction in which an environment changes is often steered by landmarks, and I often find this fascinating especially when witnessing this transformation first hand. I got this same feeling when I visited Rudimentary Café, which opened a few days before I first set foot. Located at the corner of Leeds and Donald Streets, which is where downtown Footscray meets residential, I couldn’t help but think that Rudimentary represents a fitting evolution of Footscray; a modernisation that is deeply rooted to its communal heritage, to the earth and people that set foot before it, producing an environment deeply influenced by Footscray’s diversity and history yet firmly modern and contemporary. 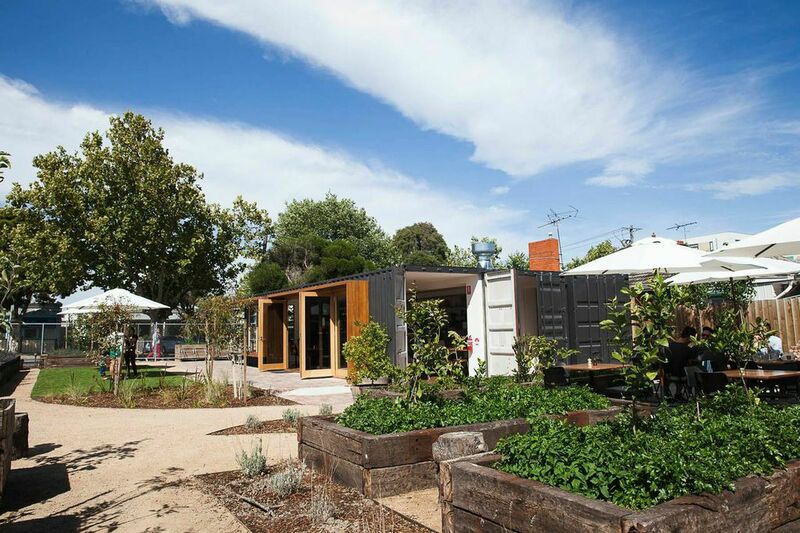 The café is surrounded by a huge native and kitchen garden, with the actual café constructed from four decommissioned shipper containers welded together. From afar, the property looks like something from the future, but once you walk through the garden and café, it feels strangely familiar, almost like it had always existed. 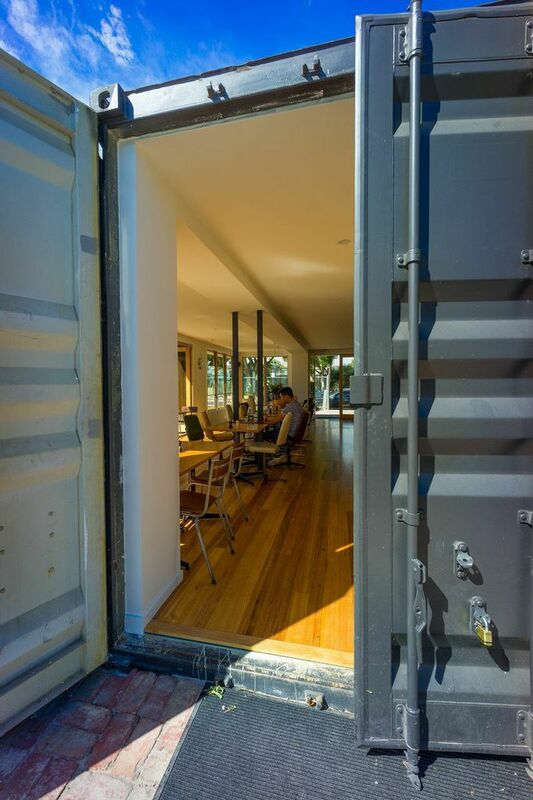 The design and build of the café has a strong emphasis on environment and sustainability; the roof collects rain water which siphons into a large on-site tank, passive cooling and heating with the massive container doors able to be opened and closed on one end, and worm farms and composting on-site. The gardens incorporate a mixture of hardy native flora and kitchen ingredients such as Vietnamese mint, basil, chillies, chives, and lemons amongst others. 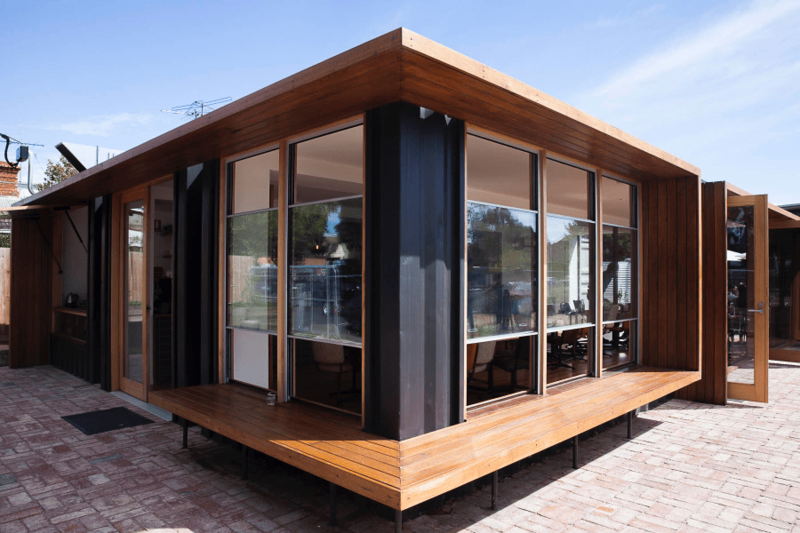 The café is also designed so that all guests can enjoy the confines, whether you’re a child, student, professional, elderly, or even if you’re four legged! Struck by its physical mastery, I was also pleasantly impressed that Rudimentary Café had substance to its exterior. Designed so that natural light illuminates the interior and combined with its emphasis on wooden constructs, there is a noticeable warmth when you set foot inside the café. 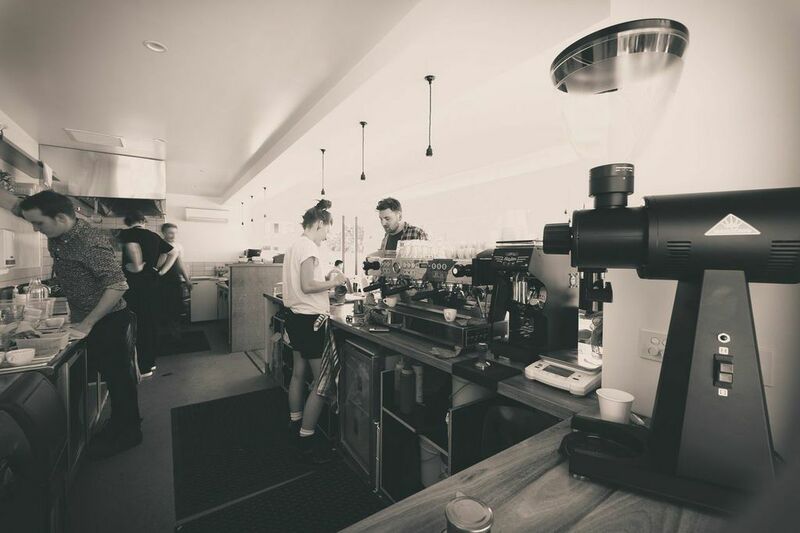 I ordered a long black, latte, and finally piccolo for finishing touches and the coffee is the best in Footscray, sourced from Small Batch and crafted from a La Marzocco PB. There is a great range of brunch and all day items available on menu, which I opted for the Pork Belly, braised with crispy pig’s ear, chilli & tamarind, and topped with fried eggs – how do you say no to that? The service was also great, with orders served with a smile and cleared with a smile. A stunning building or property captures the imagination, but only with substance can it become a transformational landmark. Rudimentary Café certainly was all that. My experience at Rudimentary Café was not just that of a great culinary experience. It was an experience that gave me comfort, an assuredness that yes there was change in the air in Footscray, but that this change was going to be good, one of progress. It would still be unfathomable to see the Russell Crowe of Romper Stomper accept this progress, although it would be fascinating to see him (his name in the film is Hando by the way) set foot in Rudimentary Café, change would surely be alluring even to the hardened. 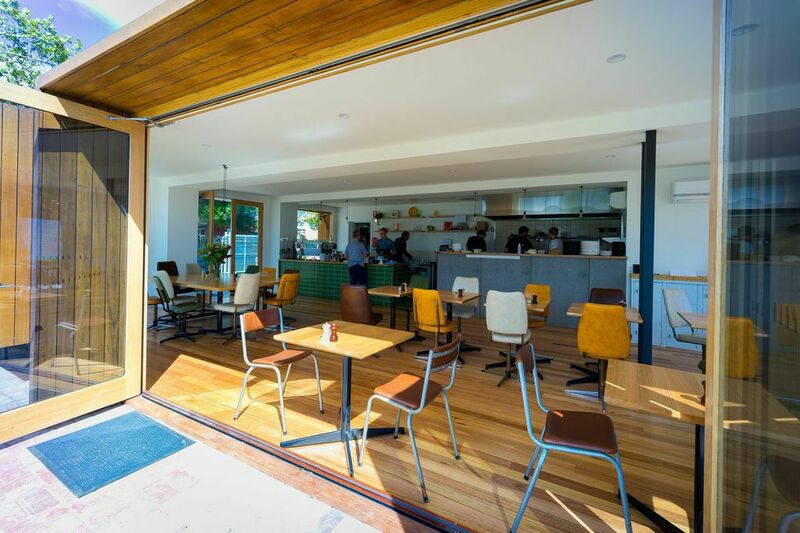 Rudimentary Café masterfully encapsulates what has always been good about Footscray and offers the possibility of what can be so great about Footscray and Melbourne itself. So what are you waiting for? Experience what has, is, and will be over a great coffee and plate of food. Sounds rather rudimentary to me. 100mm in collaboration with Road Track Rally (RTR) are holding our first official event this year, DYNO & motorKHANA day on Sunday the 26th of April 2015. In conjunction with the Dyno and Motorkhana event we would like to also invite the general public to come and enjoy the day with us. Show off your pride and joy and bring along the family too. There will be 3 food trucks serving up some delicious food to keep us all happy and a jumping castle to keep the kids busy.